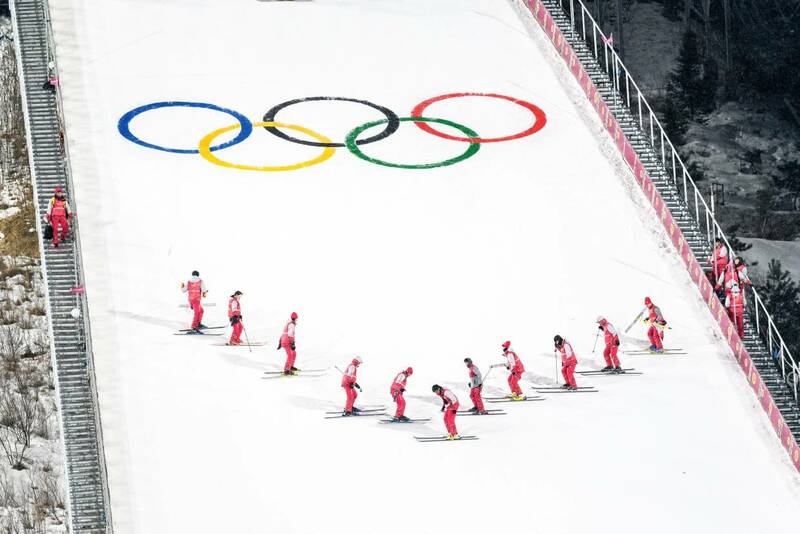 How Will Weather Impact the 2018 Winter Olympics? The Winter Olympics are one of the greatest sports spectacles on earth. In so many ways, it is the athlete against the elements. Weather plays an extremely important role in the outcome of so many events. I was lucky enough to forecast for 2002 Winter Olympics in Salt Lake City and remember the challenges of correct forecasts for so many of the outdoor venues. Some of the more obvious weather parameters that impact the outdoor venues like skiing are the temperature and the snowfall. Temperature not only has an impact on the skiers themselves but can have a big impact on the quality of the snow surface that athletes ski on. Warmer temperatures can cause slushier ski conditions while very cold temperatures can make for a much faster surface. There is now a secondary effect from air temperature that skiers need to pay attention to, ironically because of the new technologies in skis. The cold temperatures form very sharp snow crystals which can have a very strange but devastating effect on the skis themselves. Those crystals according to Austrian Alpine Skier Marcel Hirscher “get really sharp when temperatures go to -20 degrees and the base burns. It’s the same as lighting fire and burning your base because the snow crystals get such sharp edges”. Winds can also play an extremely important role in many of the Winter Olympic Events. Much of that has to do with the fact that many events occur at higher elevations where the winds are stronger. Ski events such as the Downhill, Super-G and Slalom all take place well up on the mountain where winds can gust to over 50 mph at times. With racers moving at speeds of 50 mph or more down a dangerously pitched slope, stronger winds can raise havoc with visibility and can even blow skiers off the course. With inches separating them from the gates, even a slight mistake can cost them a medal and result in serious injury from falls. Snowboarders can also be greatly impacted by the winds. The large surface area from wide snowboards can make that sport very vulnerable to stronger winds as well because those winds can easily move the athlete around. Even coming out of the ½ pipe to soar puts the athlete right into the wind and very slight errors can result in accidents and injury. Ironically, some events like Ski Jumping actually rely on the wind to improve performance. In this event, an athlete skis down a ramp, then jumps off the end to glide in the air for hundreds of feet before landing on the slope. They use their bodies as well as their wide skis to create as much surface area as possible. A headwind actually allows the skiers to maintain more lift and fly a greater distance. However, at some point the winds can be too strong making conditions too dangerous to fly. Athletes know that they cannot control the weather and to a great degree that is all part of the sport and the competition. However, when the winds are strong enough to make the competition unfair or result in injury, then officials must decide whether or not to cancel and re-schedule. 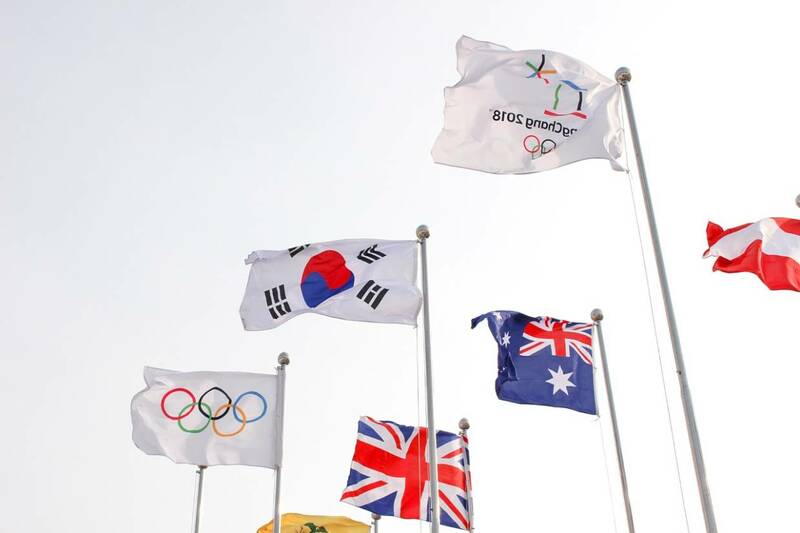 It is a very difficult decision because there are precious few days within the short Olympic time frame to re-schedule events. Snowfall during an event can not only rapidly change the surface skiers move on, but can you imagine racing down a Giant Slalom course at speeds of over 50 mph with the visibility dropping to only a few hundred yards in a snowstorm!! That type of weather has postponed or even cancelled many downhill events over the years. For cross-country skiing, the temperature of the snow and type of snow crystals results in an entire science dedicated to the types of skis and the wax skiers use to coat the bottoms of their skis. Skiers “kick and glide” to move and every time they push, part of the mid-section of the ski contacts the surface. When you glide, the tips are what contacts the snowy surface. Different types of waxes are used to grip under the middle portion of the ski and to glide under the end. These waxes are formulated for very specific temperatures and snow conditions and most cross country skiers and coaches are experts at evaluating those conditions and paying very close attention to forecasts. For all outdoor venues, even the amount of cloud cover/sunshine can have very significant impacts on conditions of the snowpack. Sunshine can melt and change the surface in many different ways and athletes/coaches must be aware of what those impacts will be so they can adjust their gear appropriately. That sunshine and the shadows that clouds/sun produce can also impact downhill skiers ability to assess curves/moguls/slopes as they race at high speeds down the course and often result in crashes when the skiers do not adjust quickly enough. For events such as the Bobsled and Luge, the technologies to maintain the track are likely the most sophisticated of any Olympic Venue. Special roofs and shades have been installed on the track to block, sunlight, snow and rain. Since runtimes are recorded in hundredths of a second, even imperceptive changes in track conditions can mean the difference between a medal or not. A clear, sunny day with temperatures below 32F is best for those events. If the temperature warms up, the track is actually refrigerated and can cool the icy surface but that can make the track frosty which will slow sleds down. When it gets really cold, the icy surface actually can become “stickier” and that can slow sleds as well. These are just some of the ways in which the weather will play an extremely important role in this year’s Winter Olympics. Regardless of the conditions, those amazing athletes will be out here competing in what to me is the greatest assortment of athletic competition on this planet. And much of the competition deals with the ways in which one prepares and adjusts to the weather!!! Quiz: Which Winter Olympic Sport Suits You? Andy Moser, great point you’ve brought up.